Do you have a desire to earn more money? Do you have a dream that you want to fulfil that involves money? In this blog post, I am going to show you how to create a wealth mindset so that you can begin to attract more money into your life – immediately! Anyone can create a money mindset. You don’t have to be a particular type of person to be wealthy, just like you don’t have to be a certain kind of person to be successful. If you are shy, introverted, lacking in confidence or low self esteem, you can still create a money mindset. And when you establish such a mindset, you will find that it actually helps you in all the other areas too. Developing a wealth/money mindset is simply about changing the way you act around money, the way you talk about money, the messages that you are sending out about money. The income that you have at the moment is a result of your beliefs and expectations up to this moment. If you want to earn more, you not only have to want it, but you also have to believe it and expect it. Is there a difference between what you earn and what you would like to earn? If so, you need to pay attention to what you believe is possible for you. Initially, don’t worry about how it will happen, just believe that it is possible. Below is a list of things that you can do that will start to make a positive impact on how you view money. Be prepared to see extra money coming into your life straight away! 1. Be grateful for the money that you have in your life at the moment, even if it is not enough. Being grateful for what you already have is a ‘sure fire’ way of receiving more. If the money that you already have makes you happy, then the universe will send more money your way. 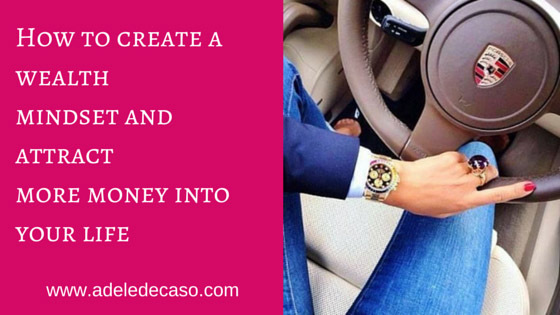 I know exactly what to do to create the income I really desire. I am ready to increase my income. 3. Doodle pound signs or dollar signs whenever a piece of paper crosses your desk. I love this one, its fun and it works well! 4. Write yourself a cheque for the amount of money you desire. It could be a monthly income amount or a one-off amount that you would like to earn. Once you have written it out, place it somewhere prominent where you can see it daily. 5. Start to upgrade things in your life. Buy the best that you can afford instead of ‘making do’ with something that you don’t really like. This doesn’t mean spending money that you don’t have, but just spending that little bit extra to get an increased quality that will make you feel richer. For example, instead of buying the cheapest supermarket branded hand soap, pay a few pounds extra for a luxury one that will make you feel rich whenever you use it. 6. Create a “No Questions Asked Account” No matter how small the amount to start with, create an account into which goes a certain amount of money every month. This money is to be used for anything you want, things to make you feel good. It is yours to spend without having to justify it or ask anyone else. No matter what is going on with your finances, if you can do this, you will feel wealthy. 7. Leave slightly larger tips than you are used to. At first this will feel a little uncomfortable, but you will soon get used to it and it will make you feel wealthy. Start small, just 10% extra at a time will improve your wealth mindset. 9. Mix with positive people – Associate with like minded people. This doesn’t mean that you have to ditch your friends, you can just add new people to your circle of friends. If you find yourself amongst a negative conversation about money, don’t allow yourself to be dragged in. Don’t make any comment and if you can, try to change the subject. Join a mastermind, a group of individuals who are striving for success. You can even start your own if you don’t know of one. Many online study programs that you can buy often come with the benefit of a Facebook group that you can become a part of. These are like a mastermind group where you can share ideas and receive tips, inspiration and advice from the other people in the group. 10. Track every penny that comes into your life, even down to a penny that you find on the street. When you do this, you almost develop an expectation that extra amounts of money are going to appear. You may find some money in a pocket or in a bag you haven’t used for a while. Track every bit of income that comes in too. I hope these tips have helped you to see that you can create a wealth mindset, and that you are inspired to start acting on them straight away. Like anything, it may feel slightly uncomfortable at first, it just takes a bit of practice. Please feel free to share your wealth creation stories in the comments below, I would be really interested to know what you are attracting into your life. If you enjoyed this post, why not visit my website www.adeledecaso.com/free-chapter and access your free chapter of my book Shy People Can Be Successful Too! You will also receive my Top 10 Tips for Shy People. 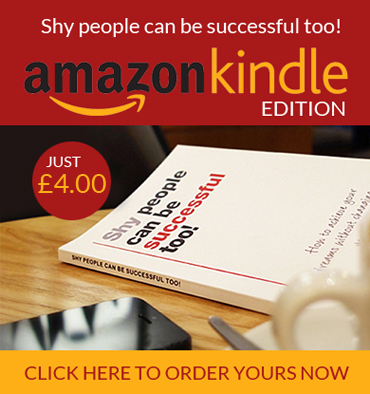 You can like my Facebook page at Shy People Can Be Successful Too! This entry was posted in Blog and tagged attract money, money, Wealth, wealth mindset. Bookmark the permalink.